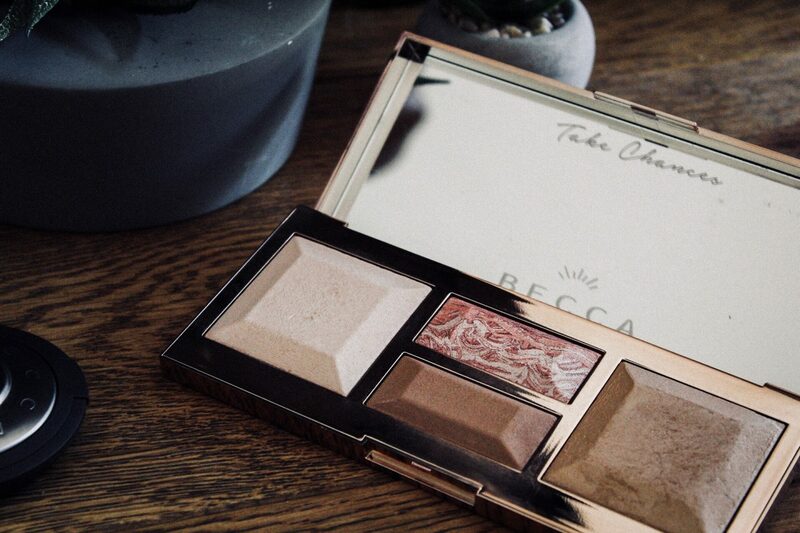 You may have heard that BECCA recently started being sold in John Lewis – which, as arguably the biggest BECCA fan ever, is pretty much my dream come true. Now I can check out new releases in store without having to haul myself up to a Space NK, success. To celebrate this new launch, John Lewis stores across the country held a special BECCA event featuring cupcakes, champagne (pop – ha, get it?) and, obviously, a flower wall. Naturally I had to visit, and couldn’t help picking up a few things – including the new Be A Light palette that I’ve had my eye on since it launched. The packaging of this palette, like all BECCA products, is absolutely beautiful. 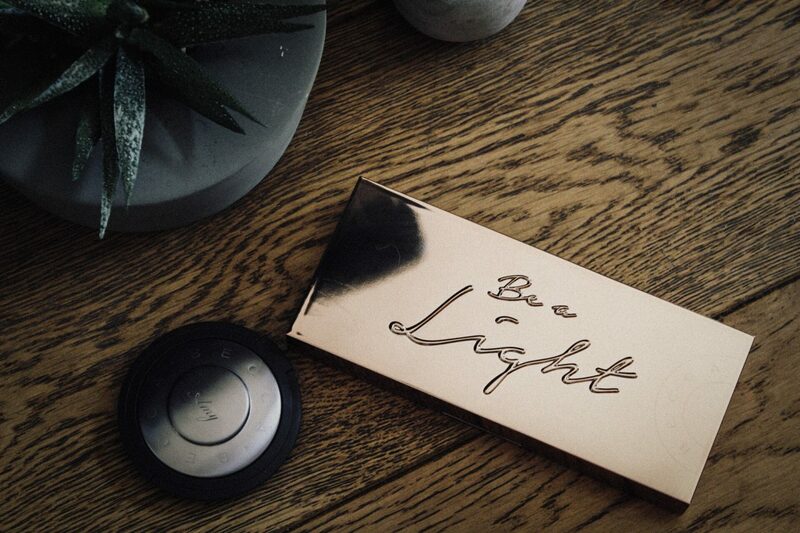 It’s a really sturdy, rose gold palette with the name, ‘Be A Light’, embossed onto the lid. I love its huge mirror – especially the ‘take chances’ which is printed onto it, such a cute touch! It definitely feels very high quality, and I really appreciate that the powders are spread far apart enough so that they won’t mix. I really love palettes that contain multiple products because they’re so great for travelling, and this one pretty much has every face powder you need! It includes a brightening powder, blurring powder, blush and bronzer, so you really don’t need much else. The quality of the powders is amazing, super smooth and pigmented – not dusty or chalky at all! I have the Light/Medium palette, but they also have a deeper version. The two main face powders really remind me of the Hourglass Ambient Lighting Powders – they’re incredibly soft and give a beautiful, candlelit glow. 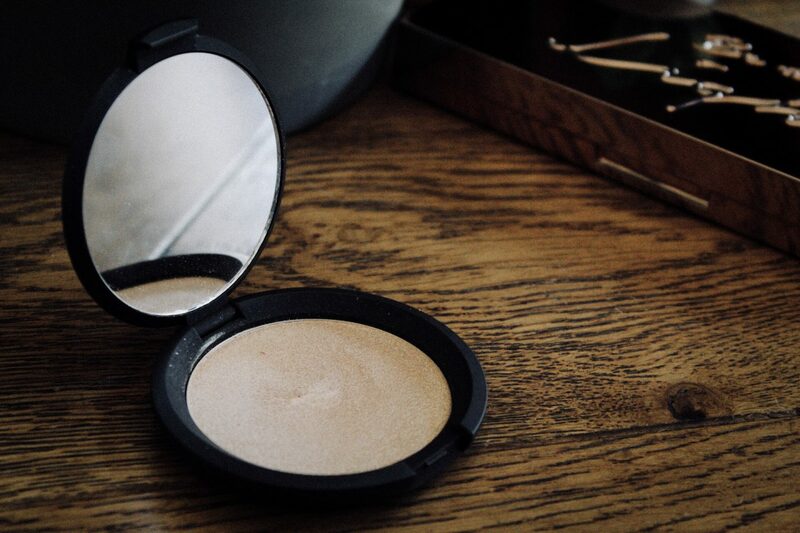 Although the blurring powder looks more like a bronzer in the pan it’s actually quite sheer, so I find it gives me a golden glow rather than making me look orange. It also really does blur my skin, and kind of makes it look like I’m using a soft-focus filter – but in real life. The brightening powder is almost the same colour as my skin so it doesn’t overly brighten, but it does add a soft highlight which I really love. If you have darker skin than me then it’d probably brighten even more, but I think you’ll still enjoy it if you’re fair-skinned. 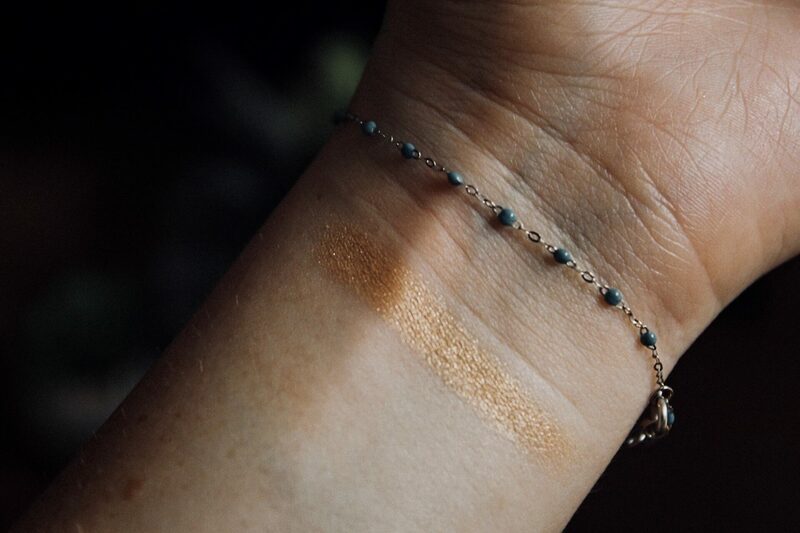 You could also use this as a really subtle highlight if you aren’t as into an intense glow. The blush is a very glowy blush – almost more of a blush topper, but I love a very highlighting blush so I’m not complaining – and gives you a gorgeous pop of pink. It’s a very soft colour that creates a natural flush; I typically wouldn’t go for a shade as pink as this but I actually think it’s really beautiful, especially for summer. 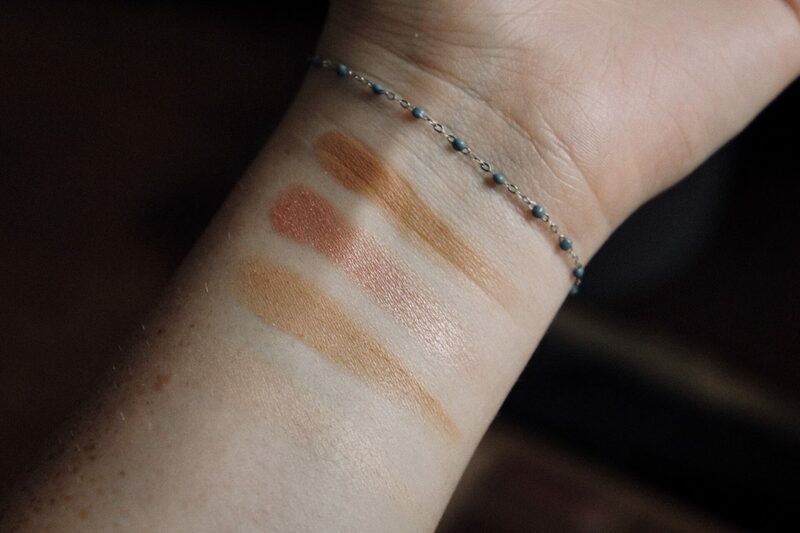 The bronzer is probably my least favourite of the palette – don’t get me wrong it’s a really nice bronzer, but I think I prefer the colour of BECCA’s Sunlit Bronzers a little more. This looks quite orange when swatched but it doesn’t come across that way on the skin, although it is a little warmer than my ‘Capri Coast’. It blends really nicely though and gives a gorgeous bronze to the skin. I really love that it has a radiant finish, and when I’m in a hurry this works well as an eyeshadow too. I have to say I’m really impressed with this palette and I’m definitely glad I picked it up – especially since it was the last one in stock. I’m kind of in shock that it’s only £35 – you get two full sized face powders as well as a smaller blush and bronzer all for that price? That’s totally insane, and you can use the powders in a ton of different ways. I’d absolutely recommend picking it up, the quality of the products is incredible and it’s such an awesome price. I also got a free gift with my purchase, the ‘Prosecco Pop’ highlighter, which I’ve actually never tried before! You could also get your highlighters engraved at the event, and I’ve truly never felt more like a legit blogger. 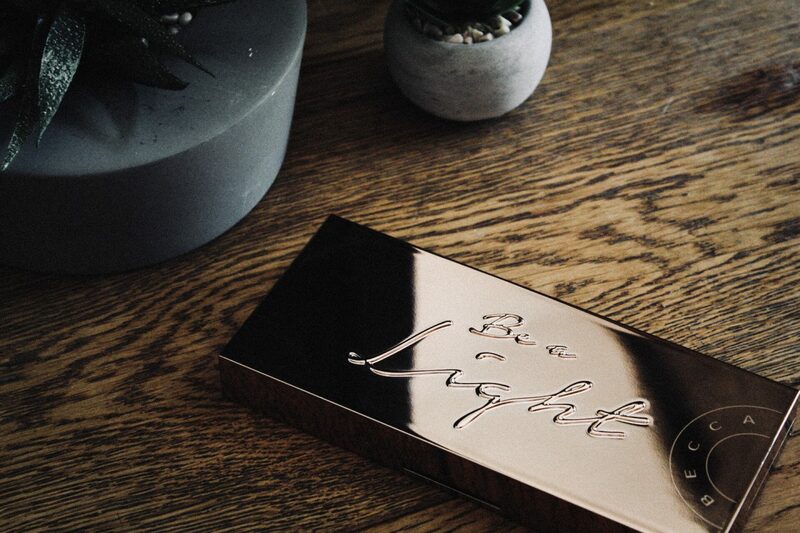 I’m a little obsessed with my new, personalised highlight, and I can guarantee I’ll be keeping it forever (I mean, look at how pretty it is!). The formula of BECCA’s highlighters is the best I’ve ever tried: you can keep them quite natural and subtle or build them up to a major glow. I typically would never buy ‘Prosecco Pop’ because it looks so gold, but it actually looks really pretty even on my light skin. This is the perfect summer highlight to add a gorgeous, golden glow. I also love using this as the prettiest golden eyeshadow ever, and it looks stunning when mixed with ‘Moonstone’ for a light gold highlight. Definitely getting Hourglass vibes with the packaging of the palette! The product inside, does look equally as pretty! Anything personalised is so cute isn’t it!? 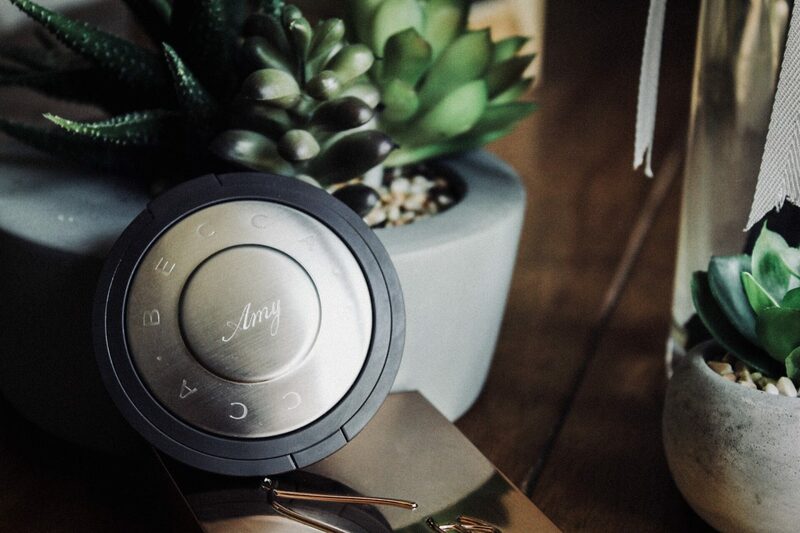 It’s such an Hourglass-style product! It really is!